Steve Lamon has significant experience in complex construction, business, and real estate litigation in all levels of California state courts. Steve has more than 28 years of legal experience, including negotiating and drafting contracts for public and private sector clients, and resolving myriad types of civil disputes, including both the prosecution and defense of claims. Steve's emphasis is in handling business and contract related cases in a broad range of areas, including construction, real estate, landlord/tenant, partnership dissolution, and corporate lawsuits of all kinds. Steve previously owned the Lamon Law Office in Yuba City, California. 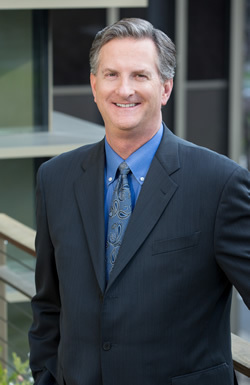 Before opening his own law office in 2005, Steve was an associate and later a shareholder in the prominent Sacramento firm of McDonough, Holland & Allen for over 13 years. Prior to that, he was an associate attorney in two prominent Bay Area law firms. Steve has been involved in hundreds of cases and dozens of trials, and has been successful in both defending cases and in winning several multi-million dollar judgments. Steve was selected the Best Attorney in the Yuba/Sutter area by a poll conducted by the Appeal Democrat newspaper, and was also listed among Northern California's Super Lawyers in a poll conducted by San Francisco Magazine. He was he was listed in Sacramento Magazine's Top Lawyers list in 2016. Steve has spoken on issues concerning public and private contracting and construction for the Valley Contractors Exchange, the Rancho Cordova Chamber of Commerce, and the Yuba Sutter Chamber of Commerce. Steve earned his B.A. from the University of California, Berkeley and his J.D. from the University of California, Hastings College of the Law. Steve also studied for two years abroad, with a year in Amsterdam, Holland, and a second year in Cairo, Egypt. Recently represented a national homebuilder in a complex dispute in State Court involving enforcement of an infrastructure cost-sharing agreement. Recently represented a developer against a national home-builder in State Court involving enforcement of an option agreement. Counsel for a Sacramento developer regarding claims for breach of sales contract involving hundreds of acres in Placer County. Obtained a verdict of $3.6 million and an order enforcing the contract, which resulted in a final closing for over $30 million. Counsel for local public entity regarding a developer’s claims for more than $80 million in water and sewer entitlements. Obtained a defense verdict for the city and a favorable settlement of the city’s cross-complaint against the developer. Counsel for a prominent Northern California contractor obtaining favorable results in over 30 recent construction cases. Counsel for a prominent Northern California residential land developer obtaining favorable results in over 10 recent homeowner cases. Counsel for a Northern California public entity obtaining favorable results in four recent contractor related claims. Counsel for prominent Sacramento contractor regarding claims against a Fortune 500 retail store developer resulting in verdict in excess of $2.0 million and right to foreclose mechanics’ lien. Counsel for five members of a limited liability company regarding claims by another member for breach of contract to sell membership rights. Obtained verdict in favor of all five members and right to recovery of fees and costs.